She has form," he said to himself, as he walked away through the grove - "that cannot be denied to her; but has she got feeling? I am afraid not. In fact, she is like most artists; she is all style, without any sincerity. She would not sacrifice herself for others. 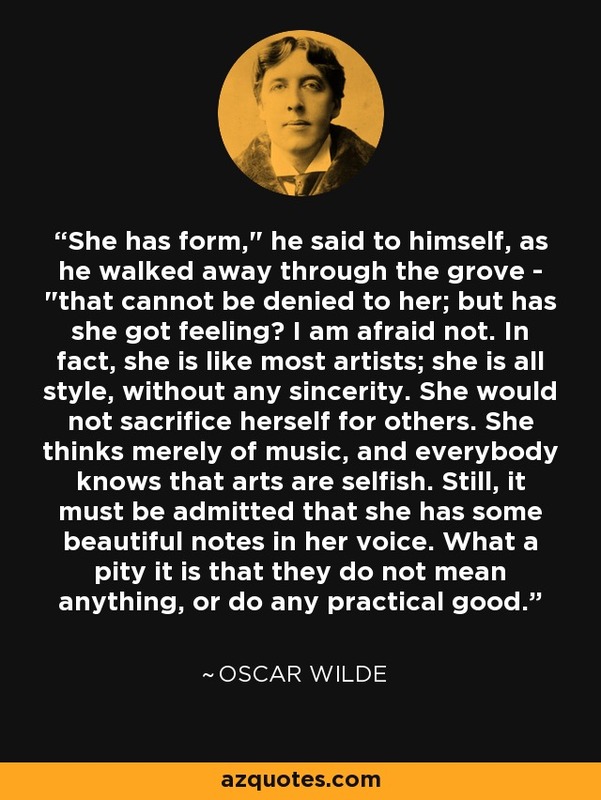 She thinks merely of music, and everybody knows that arts are selfish. Still, it must be admitted that she has some beautiful notes in her voice. What a pity it is that they do not mean anything, or do any practical good.